Apple may be forced to drop the Lightning connector for charging the iPad and iPhone in Europe. A European Parliament's consumer protection committee has voted to standardize smartphone connectors in a move to reduce waste. As a result it is possible that Apple will have to abandon the Lightning connector at the base of the iPad and iPhone that is used for charging. Certain accessories are also plugged in to the devices using the Lightning port. Brussels is attempting to make every mobile phone use the same charging standard. The microUSB standard seems the most likely winner based on the fact that in 2009 the European standards agency chose it to be the universal port for smartphones, and hence most of Apple's smartphone competition now use microUSB connectors. Indeed, Apple actually came out in support of the International Electrotechnical Commission's recommendation for a universal microUSB mobile charging standard, so many expected it to launch the iPhone 5 with a microUSB connector, and yet it didn't. However, Apple sells a Lightning to microUSB connector in the European Union for this reason. Apple's Lightning to Micro USB Adaptor costs £15. The Lightning to Micro USB Adapter lets you connect an iPhone, iPad or iPod with Lightning connector to micro USB cables and chargers to sync and charge your device. It still seems likely that Apple will be forced to adopt the same port should this latest move become law. The ruling still needs to be approved by the European Parliament, however, and a new law may well take years to be implemented, by which time there may be a new way to charge devices such as induction. What is Apple's Lightning connector? 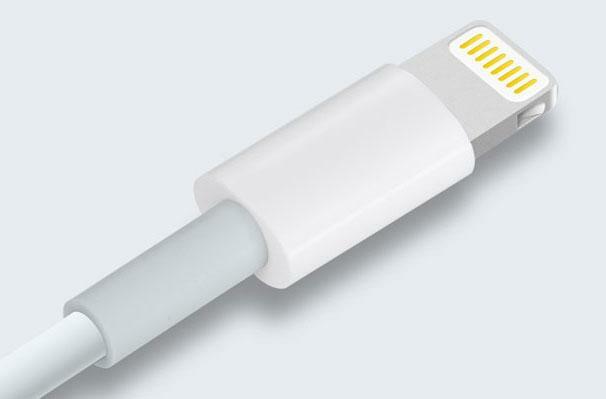 Apple's lightning connector was introduced with the iPhone 5 last year as a replacement for the decade old 30-pin connector previously used in the iPad and iPhone. At the time there was an outcry as people with older iPhone and iPad accessories didn't want to update to the new port as it would make these products redundant. At the time Apple launched the Lightning connector we pondered why Apple didn't adopt microUSB. We concluded that Apple's Lightning port is a superior option because it offer more functionality than standard micro USB connectors, such as the ability to directly control accessories from the iPhone screen. If Apple has to move away from its proprietary ports if will lose an important revenue stream as it makes money from its connector licensing program.